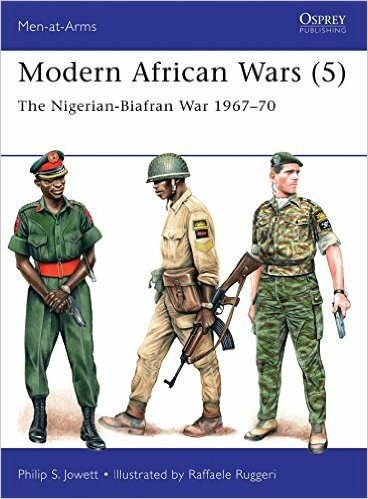 Little remembered today, the Biafran War was a fight for independence by the Christian Ibos against the Muslim majority of Nigeria following Nigeria's independence from Britain. The war involved not just ground forces but also air and naval forces by both sides and improvisation was the name of the game. Colorful leaders and colorful characters from the rank-and-file abounded, if the photos and plates are anything to go by. It's a fascinating story and the photographs and artwork of this Osprey book makes for a great reference or for a good read in its own right.